This is a phenomenal guest post written by Sarah Rippel. 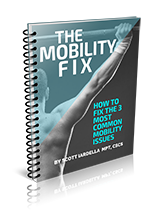 This represents is a complete guide to using half-kneeling and tall-kneeling variations for mobility, stability and strength that can be immediately put into practice. This article also features an extensive video library of exercise demonstrations. As a fitness professional, one of my main goals is to help people gain mastery of their bodies. I enjoy figuring out the most efficient and effective way to make this happen for each individual. I believe there is both an art and a science to working with people in a fitness setting. It’s a constant process of testing and retesting, keeping the individual’s goals in mind while infusing experience with exercise tweaks that enable forward progress. Most who enlist the expertise of a fitness professional are looking to improve their fitness level, obtain optimal body composition, and be healthier for life. Many may not be as concerned with learning to optimize movement, but without an approach that places importance on this, any fitness goal will be compromised. What I can tell you is that giving individuals the opportunity to improve – and even regain – movement pattern proficiency is extremely rewarding and beneficial for my clients. I have found that many people, especially women, are not proficient at creating and maintaining proper levels of tension throughout the body during exercises. Being able to control the movement limit of a pattern, the end range, can be a challenge for many people. Compensations are red flags that a movement is too challenging for an individual. Resorting to compensatory behaviors such as unnecessary bracing, improper breath holding or breathing difficulty, facial fixing, toe clawing, and/or bracing with the neck muscles tells us that reaching this end range is too much for the body to control. The body will find a way to “survive” movements, but this is not what we want if acquiring more efficient, authentic movement patterns is the goal. Finding a range of motion that is suitable for an individual’s current level is key. The position where an individual can breathe without strain is called the breathing end range, and this can be considered to be an individual’s baseline. In addition, I have observed that many people are prone to “hanging out” on their joints. What does this mean? Well, adopting slouchy and sloppy postures which over time lead to imbalance. I have personal experience with this, as for many years of my life I defaulted to an extension-based posture. Perhaps it had something to do with my background in dance, gymnastics, and springboard diving, but I believe I was simply never taught how to stand with proper alignment. I remember being told I was “swaybacked” numerous times during my childhood, and I would stand with my knees bowed out. In fact, I have not-so-fond memories of being in ballet at the age of seven and being whacked on the posterior with a yardstick because the “tuck your derriere under” cue just didn’t resonate. I could not seem to stand that way. My relationship with herniated disks in my lumbar spine is an amicable one these days, but for many years of my adult life I simply did not know how to counteract my “bad back.” I began lifting at the age of 17 and obtained my first personal training certification at the age of 19. 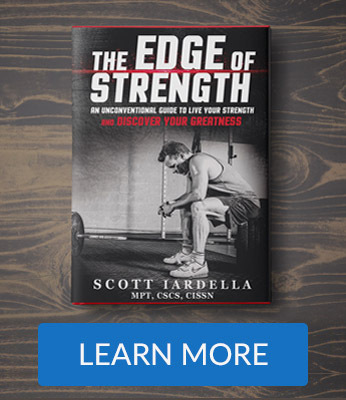 Back in the ‘90s, the trend was bodybuilding-style training and there was nowhere near the amount of information on corrective exercise, movement pattern dysfunction, and improving total-body integrity in the fitness setting. I’m sure I never came across any article in Muscle & Fitness that had to do with core training or addressing musculoskeletal imbalances. I’m also sure I did a few too many stiff-legged deadlifts without knowing how to achieve and maintain a neutral pelvis. These were some of the problems. 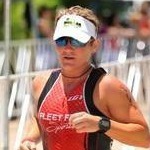 It wasn’t until 2004 with the explosion of “Functional Training” that I began to have some incredible “a-ha” moments. No one teaches us how to properly align our bodies in various positions, therefore what feels “neutral” or is the default for an individual may be in need of adjustment or correction. I have found the kneeling positions to be beneficial for any individual for a variety of reasons. In both tall- and half-kneeling, you effectively decrease a person’s height, thus bringing their center of mass closer to the ground. The ability to stabilize becomes better at this reduced postural demand. In my experience, half-kneeling (kneeling on one knee) can be a very effective way for many to understand how to obtain “neutral pelvis.” In addition, those who have difficulty maintaining neutral in standing positions may gain better ownership of it through taking things closer to the ground. The asymmetry provided by the half-kneeling position makes neutral more obtainable. In addition, this asymmetrical position can help neutralize any rotational discrepancies with regard to the pelvis and thoracic spine. If an individual cannot get into the “start” position, it’s crazy to assume things will improve once movement begins. When working with a person who lacks the ability to get into tall-kneeling because of mobility restrictions, I do what I can to address those restrictions while concurrently using half-kneeling exercises in their programming. For anyone else, both tall- and half-kneeling are feasible options. Let’s cover the specifics. Raise arms overhead, then slowly turn to one side, then the other – this may be an exercise in itself! All sorts of things: Ketlebell halos, overhead presses, front/side raises, scaption, rows, pull-aparts, med ball throws, chops and lifts…the list goes on and on. The kneeling positions can be used for exercises that emphasize motor control as well as exercises with a strength focus. In addition, exercises that emphasize power and even metabolic work can be done from tall- and half-kneeling. Essentially, these positions can be used to perform a variety of exercises that are typically done in a seated or standing position. WHEN TO USE THE KNEELING POSITIONS? 1) In warm-ups, half-kneeling drills come in handy to open up the tight anterior hip. In warm-ups, open half-kneeling variations can be great for addressing the adductors. In warm-ups, half- and tall-kneeling drills can also be great for opening up the anterior torso as well as addressing scapular control and shoulder mobility. Furthermore, the kneeling positions are great for performing light “prehab” exercises done in warm-ups. These are also great when performed at the end of workouts as active recovery, and/or on rest days. 2) The kneeling variations can be used as a “primer” to a traditional lift. I like this because a unilateral approach can be taken prior to loading up a bilateral barbell movement. Light to moderate loads are recommended here. 3) As a stand-alone exercise, kneeling variations are rarely ever a bad idea. I feel any opportunity to sneak in some additional stabilization work is a good thing, especially when we are considering most people do not have time to waste in the gym. The kneeling positions really place a demand on the abs and glutes, and everyone can benefit from that. I often like to have my clients perform single-joint movements from the kneeling positions. Moderate to heavy loading can be done here. As you can see, these kneeling positions can be used for exercises that emphasize motor control as well as exercises with a total body strength focus. 2-As an exercise “primer” for bigger lifts. Pick a few of these examples and integrate them into your program, and do not worry about using heavier loads for now. Understand why you’re using them. I feel confident that you will experience the benefits provided from tall- and half-kneeling variations to improve strength and total-body integrity as I’ve outlined. Cook, G., Burton, L., Kiesel, K., Bryant, M., & Torine, J. (2015). 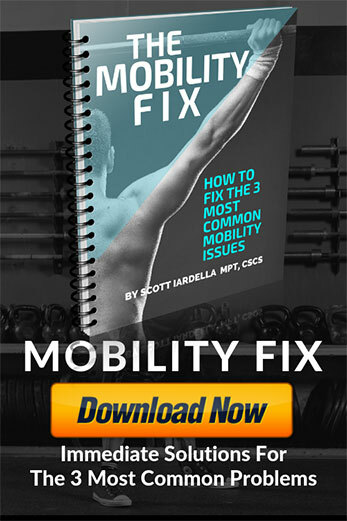 Movement: Functional Movement Systems: Screening, Assessment, and Corrective Strategies. Aptos, CA: On Target Publications. Please share this on Twitter, Facebook or anywhere you’d like! Rdella Training is about “we” not “me.” Together, we can educate, inspire, and make a difference. If you have something great to share and are interested in contributing, please go to RdellaTraining.com/submissions to learn more.